Russia has renewed its pressure on Turkey at the UN Security Council with its Deputy Permanent Representative to the UN Vladmir Safronkov claiming that Ankara is building an “illegal wall” on Syrian territory. He said this will “undermine efforts to settle the conflict in Syria.” His claims were echoed by Syria’s envoy to the UN Bashar Jaafari who said that the wall “goes deep” into their territory and lamented the “regular” intrusions of Turkish forces into Syria. Jaafari accused Turkey of “sponsoring” the Islamic State by buying their oil, gas and stolen artifacts. Spokeswoman Maria Zakharova of the Foreign Ministry reiterated Jaafari’s allegations in Moscow during a press briefing. The Spokeswoman called for a “tightly sealed” Syrian-Turkish border in order “to stop all illegal weapons deliveries and the traffic of militants, who join terrorist forces.” The current border situation is complicated and “extremely unfavorable” to end the war, she said. At the end of the Security Council session, Russia was disappointed that strict measures were not taken against Ankara and Safronkov alleged that it was “because of positions” of some Security Council members. 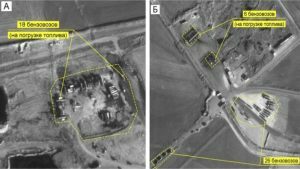 Turkey has been at odds with Syria since the beginning of the war and tensions reached their peak when Syrian shot down a Turkish warplane in June 2012 claiming that it violated its airspace. A similar scenario occurred in November last year, with Ankara shooting down a Russian fighter jet which led to stiff diplomatic and political ties between Turkey and the two countries as Moscow backs the regime in Damascus. Meanwhile, Turkey continues its fight against armed Kurdish groups that it considers as terrorists and a new law passed by the parliament on Thursday granted prosecution immunity to members of the armed forces conducting counter-terrorism operations. Turkey considers the armed Kurdish groups in Syria as a national security threat. Written by: meconfident on June 24, 2016. Posted by meconfident on Jun 24 2016. Filed under Headlines, World News. You can follow any responses to this entry through the RSS 2.0. Both comments and pings are currently closed.